The HP564XL Generic Combo Pack represents great value compared to the rediculous price of the genuine equivelant 564XL cartridges. 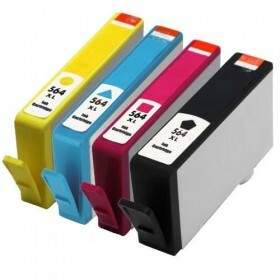 We guarantee that these cartridges will work exactly the same as the HP Genuine Cartridges without the high price tag. The HP 564XL Value Pack cartridges utilise the latest micro chip version which we guarantee will be compatible with all printers listed above. I have been a long term customer of Ink Hub, these HP564XL cartridges are very reliable and the service has always been commendable. I wouldn't shop anywhere else ! Fast delivery, easy to use website and the cartridges are affordable! I would recommend Ink Hub to anyone wishing to save money. Great product. Paid the same amount for just one Black 564XL cartridge from Officeworks. Got the whole set for under $30 ! My cartridges were delivered the next day, very fast. Great service.